The all new 2019 Kia Sportage is at Camelback Kia now! The Sportage has gotten a total makeover and is the perfect luxury SUV option for you and your family. Affordable and capable of superior fuel-economy ratings, the 2019 Kia Sportage is here to impress. Our team at Camelback Kia is excited to show you about the 2019 Kia Sportage and we know you should be as thrilled about it as we are! 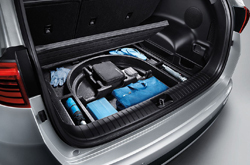 The 2019 Kia Sportage comes with three main trim packages. These trim packages include the SX Turbo, EX, and LX options. Coming standard in all models is a touch screen display for all of your in-drive entertainment needs. The LX model features a 6 inch display whereas the EX model features a 7 inch display. The SX Turbo trim package can handle a display as large as 8 inches. Other features designed for your comfort such as Apple CarPlay come standard in all models. Enjoy driving with confidence with rear sensors and impressive blind spot detection technology. Drivers will also have the ability to choose between different drive modes in all models. This means that you will be able to get the most out of your new 2019 Kia Sportage and adjust your settings to your driving needs. The LX and EX models of the 2019 Kia Sportage come in at an impressive 181 horsepower. Coming in at 240 horsepower, the SX Turbo model lives up to its 'turbo' title. Enjoy an impressive fuel economy rating of a combined 26 mpg. Travel in style and luxury knowing that your vehicle can get you where you need to go economically and effectively. Kia prides itself in creating quality vehicles that have the highest safety ratings possible. Drive with confidence with our full airbag support system. 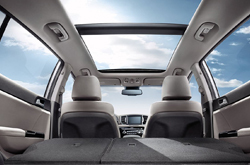 A variety of new technological features within the cabin of the new 2019 Kia Sportage will also help you drive with added confidence and reassurance. Enjoy trim package additions such as blind spot detection technology and rear cross traffic alert. The new 2019 Kia Sportage also features a lane departure warning system and the ability to do autonomous emergency braking to help you prevent getting into an accident. Drive your new 2019 Kia Sportage with the reassurance that you will be able to drive as safely as possible with these new technological advancements. If you are ready to get behind the wheel of a brand new 2019 Kia Sportage, head on over to your very own Camelback Kia. 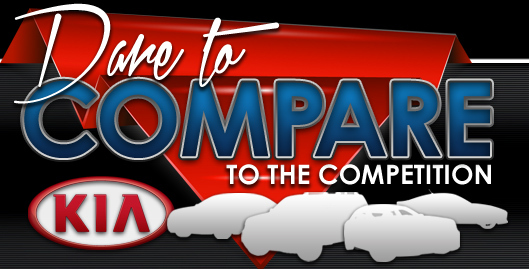 We have a variety of luxury vehicles and new and used cars that should suit any of the needs of you and your family. 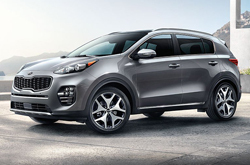 Come see for yourself why the 2019 Kia Sportage is creating so much buzz.